The Senate voted Wednesday to spend $2.5 billion on 10 military cargo jets that the Obama administration does not want. The 64-34 vote came on an amendment to the defense appropriations bill. 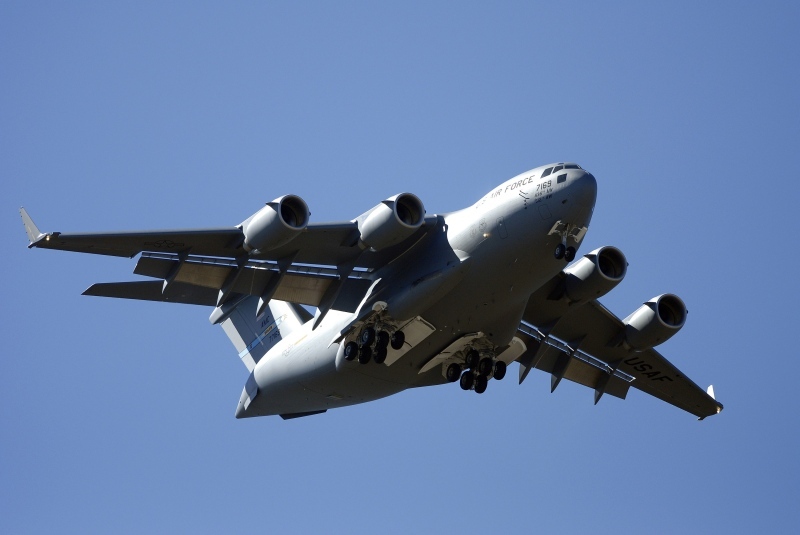 The House has already approved a defense appropriations bill that includes money for the C-17s. You must be frakking kidding me. $2.5 billion on jets the administration doesn't even want?! And yet trying to feed kids in school, which leads to better health, better performance in school, better lives, is unrealistic. I understand the love for all things military among our representatives, but come on. I do hope advocates of school lunch reform remember who voted for this military jet boondoggle -- it says everything you need to know about our ability -- or lack thereof -- to fix any of the problems we face.